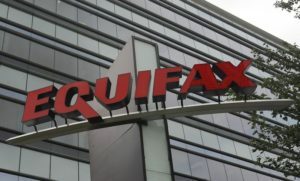 It remains unclear whether those responsible for stealing Social Security numbers & other data on as many as 143 million Americans from big-three credit bureau Equifax intend to sell this data to identity thieves. But if there ever was a reminder that you – the consumer – are ultimately responsible for protecting your financial future, this is it. Here’s what you need to know and what you should do in response to this unprecedented breach. Q: How do you protect your identity? A: There is a lot of information available discussing the pros & cons of using credit monitoring services, but this is not enough because 85% of ID Theft does not show up with monitoring alone. LegalShield recognized this when they partnered with Kroll 14 years ago to offer IDShield – the most comprehensive Consultation / Monitoring / Restoration service in all of North America. Only IDShield provides Licensed Private Investigators with 24/7 Emergency Access in the palm of your hand with their mobile app. IF YOU ARE ALREADY ENROLLED: the most important thing to do, if you have not already, is to go to www.myidshield.com and set up your online account, and set up your monitoring. Afterwards, you can download the IDShield mobile app on your smart phone.